Islam is the official religion of Sabah and this was declared in the Sabah Constitution amendment in 1974. This was passed under Usno and no objections were made by the other religious leaders in the cabinet at that time, which also included Christian leaders. Parti Harapan Rakyat Sabah president Lajim Ukin said Wednesday that the parties and individuals who are digging these sensitive issues are just for political mileage. He acknowledged that Sabah is a multi-racial and multi-religious community but the people have been living in harmony despite the diversity for so many years. He said this during a press conference after the Sabah State Legislative Assembly sitting. The opposition leader’s statement was in reaction to a recent challenge posted by Dewan Rakyat Speaker Pandikar Amin Mulia to Christian opposition leaders. 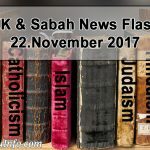 Pandikar said that these leaders should clearly state if they have an intention to change the official religion of Sabah if they will win in the state election. 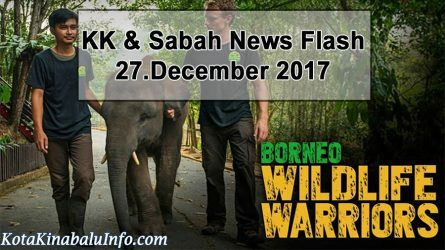 He also went back to the time when Parti Bersatu Sabah (PBS) was holding the political reigns from 1985 to 1994 and did not “correct” the issue. Lajim was quick to come to the defense of PBS because during the time in question, he was a member of the party and was the minister in charge of Islamic affairs in the state. He can vouch that Joseph Pairin Kitingan, the chief minister at that time, was a Roman Catholic and never was the matter of changing the official religion brought up during his term. 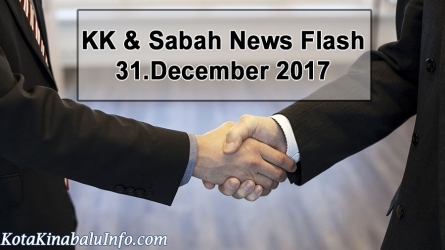 Lajim further commented that the people of Sabah share the same respect for each other’s religious affiliations and further discussing the issue could damage the harmony existing between them. 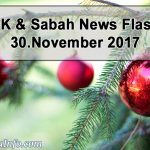 Community Development and Consumer Affairs Minister Datuk Jainab Ahmad said that the Sabah government maintains a close watch on schools even though these are not identified as hot spots for drug abuse and disciplinary issues. This statement was in reaction to the issuance of the police revealing 402 schools all over the country as hot spots for such issues. Jainab also stressed that parents, teachers and the community play a crucial role in the fight against drug abuse. 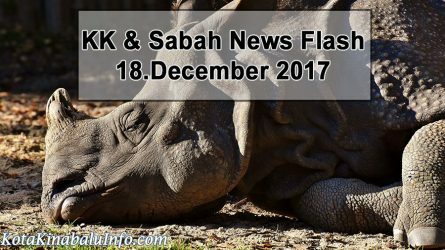 Sabah State Tourism, Culture and Environment Minister Datuk Seri Masidi Manjun is of the notion that having a casino at the Sabah International Convention Center (SICC) may not be a good idea. There may be many people playing inside the casino but there will be nobody attending the convention. The Karanaan Assemblyman said this during his time at the State Assembly, Wednesday, in reaction to the proposal of Sri Tanjung Assemblyman Chan Foong Hin to put up a casino to attract more visitors and tourists. The SICC is expected to be completed in the last quarter of 2018 and Masidi said that they could use nature as an added attraction. He said that the development project includes the KK Convention City that will have offices, shopping malls and five- and four-star hotels. Another phase of the SICC development project is the Cruise Ship Terminal and the Jesselton Quay with its seaside property development concept.